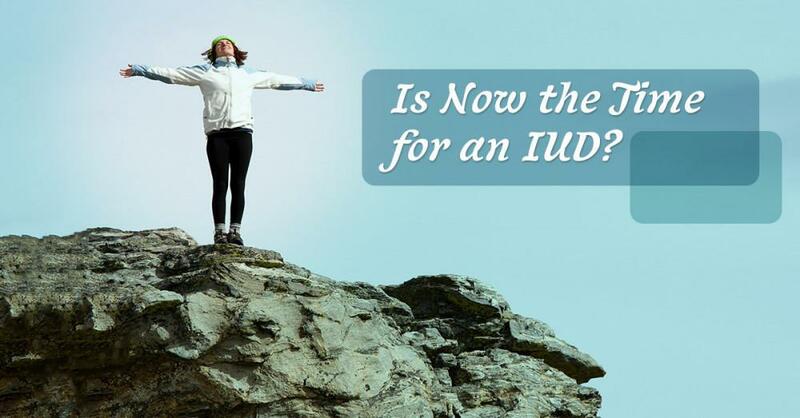 IS NOW THE TIME FOR AN IUD? Women to Women OB GYN Care Blog IS NOW THE TIME FOR AN IUD? When you are looking for a safe, effective, and affordable form of birth control, women have many choices. All forms of birth control have pros and cons and figuring out which ones apply to you takes research, self knowledge, and good advice from your OB/GYN. Today we will look at IUDs. Following the recent presidential election, there have been reports of a surge in requests for IUDs across the county. According to Planned Parenthood, online appointments for birth control, and for IUDs specifically are up 900 percent. The reason for this surge is that the incoming administration has promised to do away with, or drastically change the Affordable Care Act (ACA) and millions of people may lose their health care. Additionally, this administration is likely to enact legislation that is geared at controlling the reproductive rights of women, including the availability of birth control. We have already seen an example of legislation that will likely become more common when Hobby Lobby argued successfully that they shouldn’t have to cover IUDs for religious reasons. We’ll take a closer look at this subject, focusing on birth control options that are still available to the women of Hollywood, FL. Women to Women is your local OB/GYN Clinic and we care for women in all phases of our amazing lives. We speak English, Spanish, and Russian. Under current conditions, the Affordable Care Act makes birth control easy to get. IUDs can be acquired for no out of pocket costs. If you are insured through the ACA or fear you may lose your insurance for any reason, getting an IUD is a good idea to ensure you have birth control covered for the next few years. If you are interested in an IUD, but don’t know enough to make the call yet, keep reading! An IUD is an Intrauterine Device that prevents pregnancy. There are two main types, the hormonal IUD (Mirena) and a copper IUD (ParaGard). Both of these IUDs are flexible T-shaped devices, about 1.26 inches tall: smaller than a packet of sugar. The IUDs release either copper or progesterone that thins the lining of the uterine walls, making it much less likely to allow the implantation of a fertilized egg. An IUD can stay in place for up to 5 years. Because an IUD requires just an appointment for insertion, and can last up to five years (and 10 years for ParaGard). Iit is a no-fuss, place-it-and-forget-it option for birth control. Long-term fertility is not affected. As soon as it is removed, fertility returns to previous levels. Can decrease menstrual pain and pain from endometriosis. Decreases the risk of pelvic inflammatory disease. Can be used while breastfeeding without affecting breast milk. Doesn’t have estrogen and is not associated with estrogen-linked risks. Highly effective. Less than one percent of women will become pregnant while using an IUD. There are some health conditions that eliminate an IUD as a choice. These conditions include diabetes, uterine or cervical cancer, breast cancer, fibroids, or if you have an STI, or Wilson Disease (for the ParaGard). Some women experience unacceptable levels of pain and choose to have it removed. Between three and five percent of women expel the device. Without insurance covering any of the costs, an IUD can cost between $500 and $1000, and while this is inexpensive compared to other forms of birth control, the upfront cost of this long-lasting form can be prohibitive for many women who would otherwise chose it. According to Business Insider, the average cost of an IUD for Florida residents, with the help of the ACA, is $258 and without it, $1097. If you are interested in learning if this safe and highly-effective form of birth control is right for you, call Women to Women for an appointment.